Barter Books is a bit of bibliophile heaven. I picked up a good-as-new hardback of Philip Hensher’s ‘The Missing Ink – the lost art of handwriting’, and four lovely old Ladybird books, including ‘Julius Caesar and Roman Britain’ still with the dust-jacket. It’s just like the copy I had as a child. (What happened to my old Ladybird books? Where did they go?) I had a big collection and I loved them, especially the history ones. 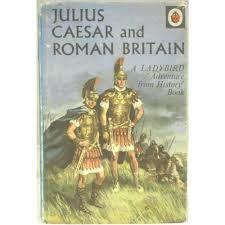 ‘Julius Caesar and Roman Britain’ is one of the best. Fantastic illustrations, full of story and action. 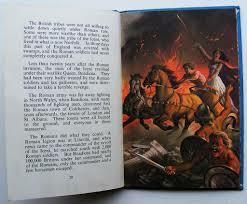 I remember poring over the picture of Boadicea on her chariot and thinking: Yes! That’s my kind of heroine!